We're now offering autographed and personalized mint first edition hardcovers and paperbacks from DD. These are the last mint condition copies of these books on offer anywhere, acquired by DD direct from the publisher. All other online retailers have exhausted their stock. Supply on these books is very limited, so order yours quickly before they're all gone! Please click here or on the image to view available books at our store. "Some of you have heard a vague rumor that there is or was someone running around pretending to be me. There definitely was. The letter reproduced below (with some of the addresses redacted because they're no longer valid) is a copy of one originally published online and in various fanzines when the impostor was still on the loose. She was later located (by annoyed Star Trek fans) and arrested -- because she had stolen many other identities besides mine and committed various frauds using them -- and spent some years in jail in several different states. Now, however, I've received some scattered evidence that she's out again, and is starting to go back to her old tricks. I'm therefore placing a copy of this letter here so that people will know the circumstances of the previous imposture: it seems possible that this lady may repeat her pattern." This is to warn Star Trek and other fan groups, and anyone else with an interest, that a woman in the US has been posing as me, at cons and elsewhere, so far primarily in the West and Hawaii. Please let it be known from the start that I'm presently resident outside of the US, and plan to be so for the foreseeable future. Any Diane Duane giving you a home mailing address in the US is not the genuine item. The real one can always be contacted c/o Donald Maass Literary Agency. The real name of the impostor is presently unknown to me, though so far she has used as an alias, among others, a name ending in "Ringwald". She is about 5' 4", stocky, about 150-160 pounds, with close-cropped dark hair. (For comparison, I am 5' 7", about 125 pounds, with shoulder-length auburn hair.) The impostor has two young daughters. To my present knowledge, she first appeared as me in Denver, in September 1988, at a media convention there -- Starfest '88 -- where she discussed plans for a future Star Trek novel (about Starfleet Academy) with numerous fans, and passed out "Diane Duane" business cards. (She was not an official or invited guest of the con: she paid her own way, having stated to the people running the convention that she wanted to attend it "incognito" for research purposes.) The address she was giving at this point was in Littleton CO, in the Denver area. The people who saw her report her as being extremely familiar with my work and with Trek in general, so they had no reason to doubt her story. Around the beginning of '89, she was apparently living at a military base in Hawaii -- whether as a servicewoman herself, or with someone else, is unclear, though she appeared in uniform on occasion, and at least one person claims to have seen her driving a military vehicle. At that time she made the acquaintance of a local Star Trek club in Hawaii, telling them also that she was me. She also set up at least one speaking engagement, as me, at a local library, on February 10th: she had another person set up for her a talk-show interview on a local radio station, and she also arranged three author signings of SPOCK'S WORLD at various Hawaiian branches of Waldenbooks, scheduled for the beginning of March. She was apparently taking orders for various Star Trek items as well -- her checks for these, to various Denver retailers, either bounced or turned out to have been drawn on a closed account on the mainland. She dropped out of sight just before the speaking engagement at the library. People who tried to contact her by phone got a phone message saying that she had gone to Australia for the reading of her husband's will. At the beginning of March she turned up again, again mentioning the death of her husband in a fire, but also speaking of having been to a large Star Trek convention somewhere on the East Coast of the US during that period. No one is really sure of where she was. She then moved in with a friend from the Trek club for about a week and a half: during this period she seems to have done some temporary secretarial work for Manpower in Hawaii. The woman then vanished again around the end of March, after being taken to the airport with her children by an acquaintance. There's been no news of her since. I would appreciate it a great deal if the fan network passed the word around about this woman, so that we can keep anyone else from being cheated. In addition, if anyone who had books signed by her in Denver or elsewhere will get in touch with me at the address below, I'll be delighted to arrange to replace the bogus signature with a real one. Finally, if anyone else has been in contact with this woman in the past, or knows someone who has: or if anyone hears about someone who sounds like her (i.e., my name, her description), at a con or elsewhere, I would be very glad to hear from you..."
Just to bring the situation up to date as of 2016: DD has not been in the USA since 2009 (at the North American Discworld Convention in Tempe, Arizona). Her only other visit to North America since then was to the HalCon convention in Halifax, Nova Scotia in October 2015. If you think you met DD at any other US / Canadian convention between 2010 and now, please be advised that you have met an impostor, and DD would appreciate it if you used this site's contact form to let her know where and when you met the fake. The Young Wizards series launches in France! The French edition of So You Want to Be a Wizard is now available from Editions Lumen! Vendue en tout a? plus de 3 millions d’exemplaires rien qu’aux E?tats-Unis, Wizards berc?ait avant Harry Potter les re?ves de magie des adolescents ame?ricains. Tre?s appre?cie?e outre-Atlantique, cette se?rie a e?te? prime?e de nombreuses fois. Read more about The Young Wizards series launches in France! because I loved you... and because the way he handled you made you more real than a lot of the (allegedly) real things in my world. doubt this is likely to stop. to see where you are in a few centuries more. 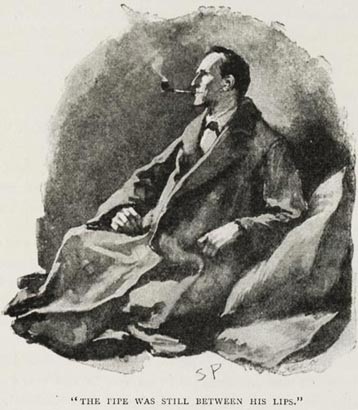 So... many happy returns of the day, my dear Holmes. Many. DD will be attending the third annual conference of the UK Open Rights Group, ORGCon, on June 8, 2013, and will be speaking about the challenges of writing, packaging and managing ebooks as part of a career fiction writer's strategy for riding the waves of change now flowing through the publishing industry. Her panel's at 12 noon. ORGCon is being held at the Institute of Engineering and Technology, 2 Savoy Place, London WC2R 0BL. Interested in attending? Ticketing info is here, and there's a map below. Revised and edited for its 21st-century readership, this edition features new material which does not appear in the original 2002 version. In A Wizard Alone, Kit and Nita join forces once more against the terrible Lone Power on an unusual battleground, as they fight for the heart and mind of a young wizard with the power to save their world. Autistic wizard-in-training Darryl McAllister has been stuck in his wizardly Ordeal for over three months. Exploring inside Darryl's mind as they try to assist him, Kit and his increasingly magical dog Ponch discover complex landscapes of weird beauty and evidence of a tremendous hidden power for good. But they also find the Lone Power there, pursuing and attacking Darryl with a relentless brutality that makes little sense even in the dangerous context of a new wizard's initiation. What makes Darryl so important -- and why can't he escape his Ordeal? Teenage wizards Nita Callahan and Kit Rodriguez have been working the New York suburbs for nearly thirty years now, through nine novels' worth of adventures. As the dawn of their fourth decade in print draws near, the long-planned updating of the Young Wizards series continues with the Ebooks Direct release of the fifth novel in the series: The Wizard's Dilemma. 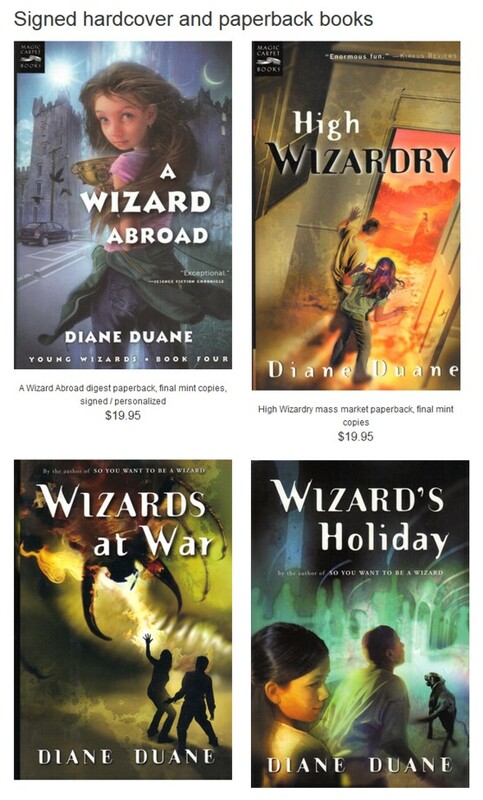 Like So You Want to Be a Wizard (book 1 of the Young Wizards series) and its sequels Deep Wizardry, High Wizardry and A Wizard Abroad, The Wizard's Dilemma has been edited and updated for the present century and integrated into the series's new 2008-2011-based timeline. You can find out more about the update project as a whole here; all nine books are sheduled to be updated by the end of Q2 of 2013. If you've already picked up copies of the first four New Millennium Editions, you can grab The Wizard's Dilemma here. Alternately, if you haven't yet acquired any of the new editions, we're offering a five volume "box set" of the presently-available New Millennium Editions at a lower price than buying all five separately. For the first time ever, friends and wizardly partners Nita and Kit seem to be having trouble communicating. They argue over a spell to clean up the pollution in part of New York's Great South Bay, and from that point on, they can't seem to connect on anything. Is it adolescence that's tearing them apart or something more profound? Nita breaks away from Kit to work on her own for a while -- and then is jolted by a terrible and unexpected blow as her mother falls ill and is rushed into the hospital. What's even more horrifying for Nita than the mere fact of her mother's illness is the possibility that nothing -- not surgery, not even wizardry -- will be able to keep her mom alive. But Nita refuses to let her mother go down without a fight. Soon she's on a mission to seek her mom's cure: a journey that takes her across universes, and out of them, to the only place where she can learn the skills that may help her save her mother's life. Those of you who follow me on Twitter may have noticed an uncharacteristic outbreak of annoyed language the other morning. Well, this was the cause. ...Anyway. The present Calanda (II, or probably III at this point) is the first custom build I've ever owned, made by Scan in the UK: a lovely machine. It has never given me a lick of trouble. (Well, the video card has, but that comes under the "Occasional Wobblies / God Knows Why It Did That / Maybe It's Sunspots / Never Mind, It Got Better" class of problems. It did get better.) Despite many years of home-building our machines, I've never had the urge to do anything with it except crack the case occasionally to do a little dusting. And everything has pretty much been hunkydory until a week ago today, when in the middle of some website work the display froze, then went black. And then the machine rebooted itself. Fine, I thought. This happens very, very occasionally. No problem. Except that it then rebooted itself again. And again. And again. No display to the screen: just the fans coming on. And then more attempted rebooting. Much moar. So I forced the machine off, pulled the power cord, waited, did deep breathing for a bit, then plugged the cord back in again and hit the Go button. ...Now, over twenty years or so of building PCs from the bits up, I've seen most kinds of errors they can throw... drive stuff, motherboard stuff, memory stuff, slot stuff. But this was a new one on me. And when I realized this, and that it was really problematic due to several projects I have working right now that really need the big machine rather than the netbook, several things happened in sequence. (a) A great disturbance in the local Force: as if a single voice had cried out in anguish, and then shut right up because the crying-out-in-anguish stuff upsets the cat. (c) Crack the case, look inside, and start diagnostics. (d) Breathe some more and decide to wait until today to start doing anything whatsoever about it: because trying to get anything tech-meaningful done in Ireland (or to a lesser extent in the UK) on Good Friday is a challenge not worth taking. ...So I started working my way down the least invasive of the suggestions this morning. On cracking the case I found the original tight beautiful build, undisturbed (I've never added anything because the original build had everything I wanted). I had a careful look around to make sure that there was nothing obviously burnt, oozing or otherwise deranged. And nothing was. Then I hit the button and let the machine run through the cycle a few times. The results you can see in the embedded video. The thing most of note for me: the processor's heatsink fan will not run. It tries, but fails. There are a number of things this implies, but I need to talk to the guys at Scan who built the machine before I go doing what my mother used to refer to as "jumping to concussions". Meanwhile, for those of you who were trying to work out what was wrong: that's what we've got to work with so far. ...Also, for those of you who wanted system specs to assist you in diagnosis: here they are. It's essentially a system built for fast graphics work (it spends a lot of its spare time rendering in Terragen, in particular) but also obviously handles WP work at damn-near-blazing speed. Display: It's a Samsung 28-inch (I think?) flat screen. I can't find the model info at the moment: it was bought separately from the main system, an open-box bargain. And now I'm off to let Moffat make me scared of WiFi. ETA: Secondary to all the above, and after no steps taken at home proved useful, the machine is going to be heading back to its lovely builders for service... so we're having a sale at the Ebooks Direct store to "celebrate". Details are here. *Disambiguation: for the worldgating complex, see the Chur entry at ErrantryWiki.